Water resource recovery facilities (WRRFs) play a role in recovering valuable resources that can rely on cutting-edge technology and knowledge of the latest reporting requirements. 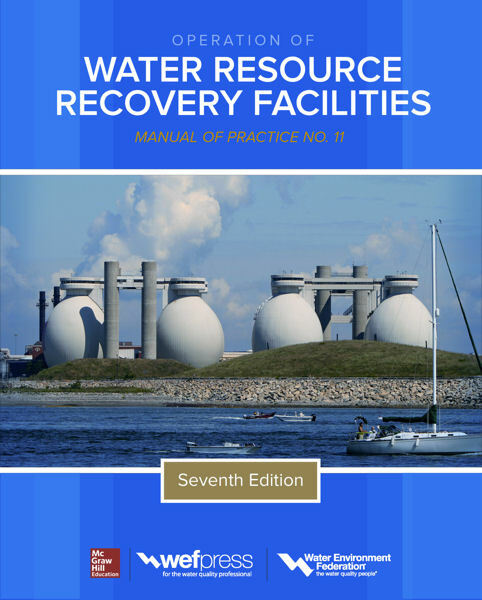 The Operation of Water Resource Recovery Facilities, MOP 11, Seventh Edition, covers the latest developments in the operation, management, and maintenance of WRRFs. The book reflects on WRRFs’ ability to recover water, nutrients, and energy. It also provides updated information on activated sludge, anaerobic digestion, biological nutrient removal, chemical handling, dissolved air flotation, fixed-film processes, maintenance, odor management, and safety and security.